If you’re looking for a new app to try, you’re in luck, 26 iPhone, iPad and iPod touch apps just hit our database. 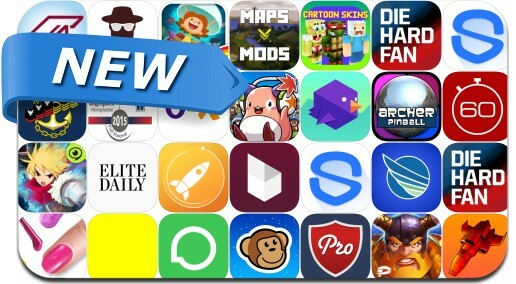 This new apps alert includes Zenonia S: Rifts In Time, Nords: Heroes of the North, Archer Pinball, Morningstar: Descent to Deadrock, Elite Daily, ID90Travel, 60 Minutes All Access, Maps and Mods for Minecraft, Operator, Yellow and many others. ThinkGeek | Join In. Geek Out.